Heyyyy Heeyyy Chica! The summer time is coming to an end and OMG I don't know about you but I am ready for some cool weather. Growing up I always looked forward to the summer time. Ah, those where the days. However, as an adult I loooove the colder months. It's something about layering and cozening up by the fire place while sipping on a glass of wine that makes the day so much better. With the new season approaching it is time to start preparing your wardrobe. I know it is tempting to shop all the summer sales BUT remember you may not wear that item until next year. So much can change in a year so don't waste your money. Save that money for new additions to your fall wardrobe. 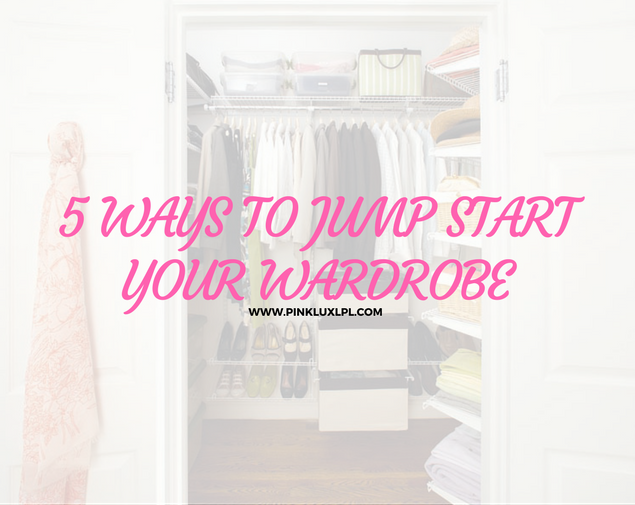 I know it can be hard to get started, so I have 5 ways to help you jump start your wardrobe. 1. Get to the Basics- Building a wardrobe without the basics is like building a home without the property. The basics in your wardrobe are items that can help you create multiple outfits with ease. Depending on your personal style your basics may be different. 2. Audit your Wardrobe- Have you ever purchased the same thing twice? Okay, it's just me and my shopping problem..moving on. Building a wardrobe is so frustrating because you don't know what you have in your closet. Knowing what you have helps you prepare for what you need. I recently audited my wardrobe and found a summer maxi dress I loved last year. I put it on and instantly fell back in love. A few other things I just didn't love so much so they are being donated. This audit will open space for new items and show me how much my style has changed. A proper audit should be done to your wardrobe every season or at least twice a year. B. Items that are discolored. C. Items that do not fit. D. Items that do not cater to your personal style. E. Items that have not been worn in the last year. 3. Get Inspired- Over the next few weeks start looking at your favorite blogs, magazines, Pinterest boards and even Instagram to start the thinking process. Also, look at old designs and styles you loved to keep your style authentic. If you find yourself wearing red over and over add that as your signature your authentic style. 4. Focus and plan- DO NOT go out and buy all the cute clothes on sale. I know it is hard! Stay focused and create a plan before you leave the house. If you get very tempted and spend frivolously I recommend doing a little online prepping. A. Check to see if the items you need in your wardrobe are on sale. Be very specific: color, size, pattern, fabric and etc. C. Add items to your checklist with the price and if possible the item number. Yes, knowing the item number is important. When currently shopping for a client the item she needed was on sale but the store did not have the item. By knowing the item number I was able to call the two other stores and locate the item. A simple phone call can save you gas and money. 5. Get creative- After auditing your wardrobe get creative with the items that remain. How can you wear them differently? If you bought a blouse for a specific outfit consider how you can wear it with other items. Now you are on your way to a great wardrobe. Need additional help with building or creating your wardrobe and authentic personal style? 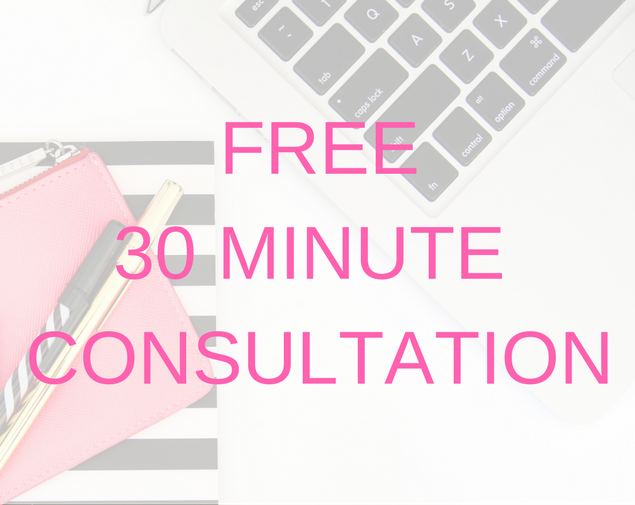 In the month of August I am giving 8 FREE 30 minute consultations to women who are ready to take their wardrobe/personal style to the next level. 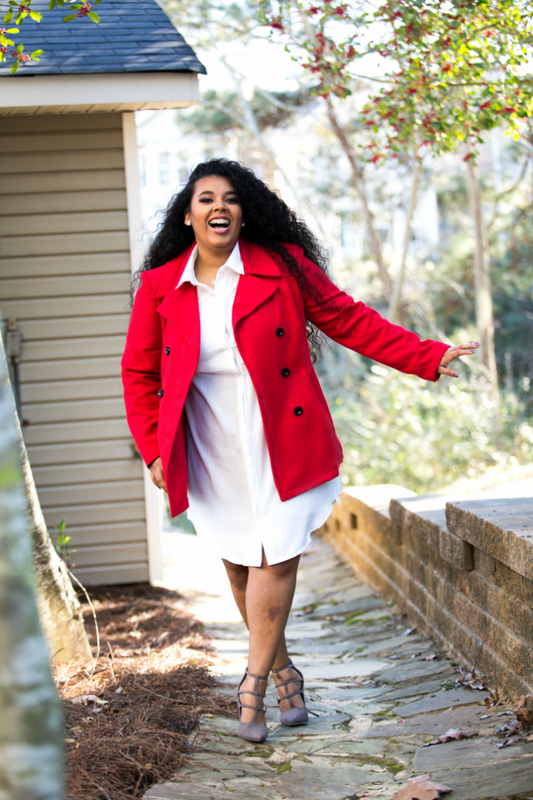 No more stressing about what to wear to work, business meetings, speaking engagements, special events and in daily life. Schedule your FREE consultation today!